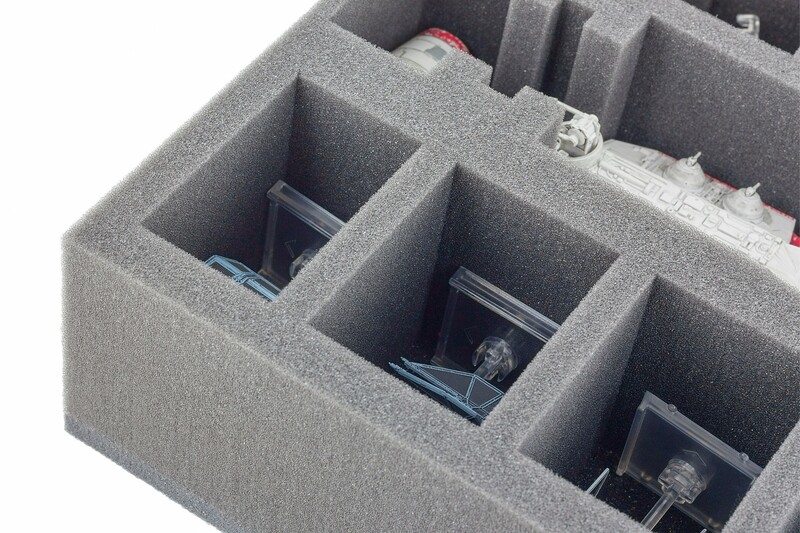 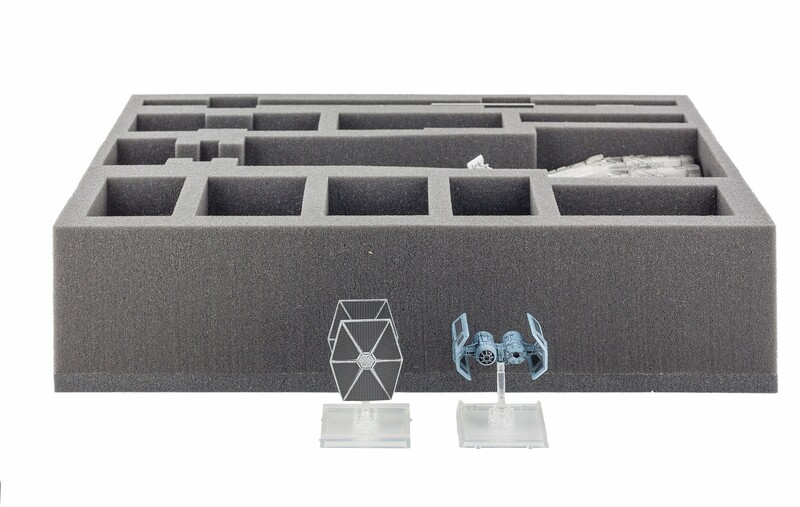 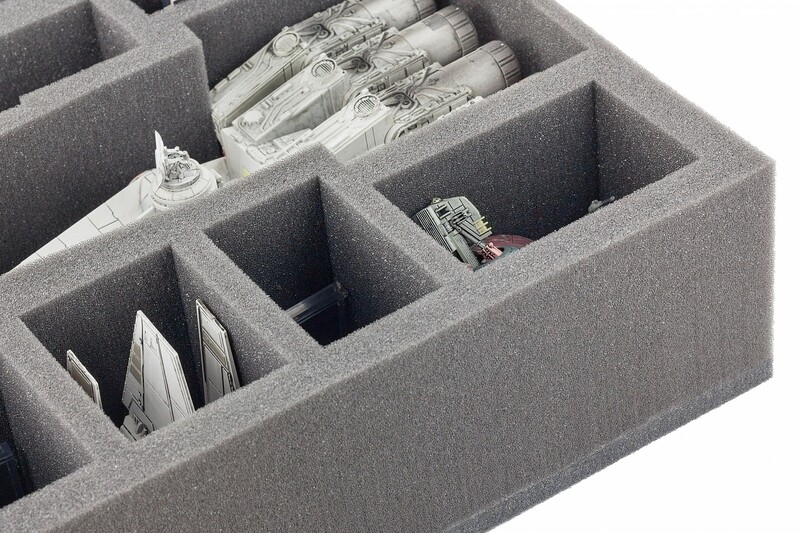 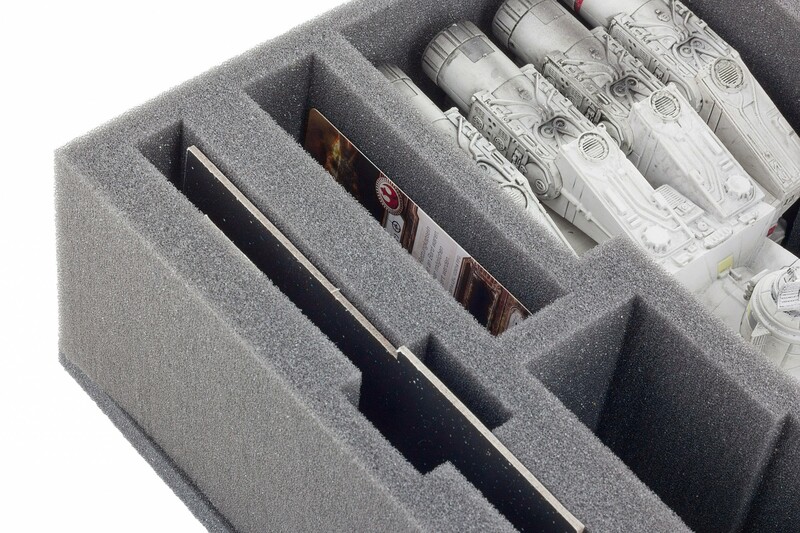 Especially for the Star Wars X-WING Tantive IV (CR90) tailored foam tray. 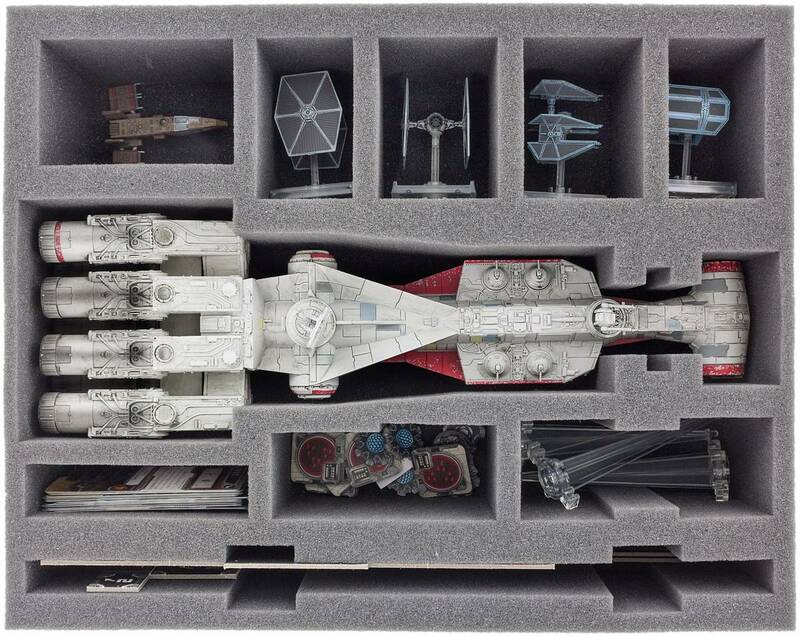 In this contribution not only to the Star Wars X-WING Tantive IV (CR90) takes place safely, but also the accessories, such as bases, tokens, stand and there is still room for X-Wing space ships like the HWK-290, Tie Fighter and others. 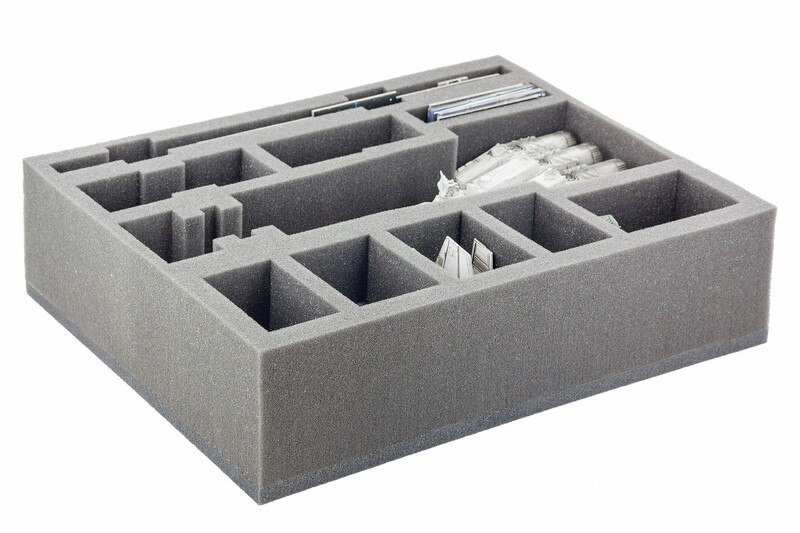 Dimension Feldherr Full-Size (FS) Foam Trays: 345 mm x 275 mm x 90 mm. 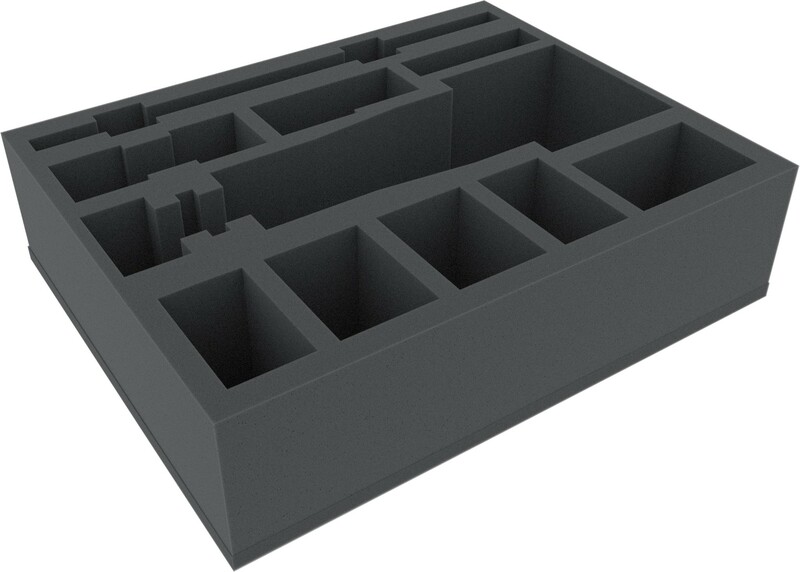 The 90 mm thickness for this foam tray is the result from 10 mm foam base and foam tray with 80 mm effective height.